If you are new to homeschooling or exploring new curriculum options, wading through curriculum choices can feel a bit overwhelming. Choosing curriculum is hard even for the most seasoned homeschool families. It’s funny to think that just a few decades ago there were very few curricula to choose from and today the options seem endless. Here are a few things to consider when choosing your homeschool curriculum. First ask yourself: What is your family’s purpose for homeschooling? Write out a mission statement to better understand your family’s purpose for homeschooling. This will help in narrowing down your curriculum choices. Which method of homeschooling best fits? Most homeschoolers fall under more than one style of homeschooling. Your curriculum choices may change over the months and years as your family develops its own style of teaching and learning. You may want to start out with a more structured style, and as you become comfortable homeschooling, you may become more relaxed in style. Depending on your homeschool style, your curriculum choices will range from complete pre-packed curriculum to self-created curriculum, from workbooks, textbooks, videos or computer programs. 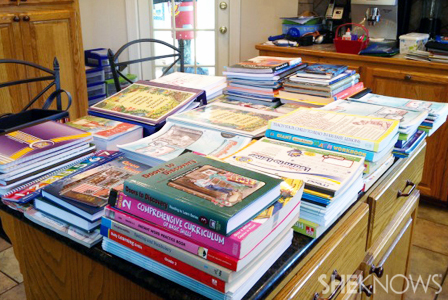 Here are just a few of the most popular styles of homeschooling. Review your states homeschool laws to determine if there are any subjects you are required to teach. Remember that you do not have to teach every subject every day, and not every subject needs a curriculum. The basic subjects to be covered are math, reading and writing. Subjects beyond the basics would be science, history and grammar. There are at least 100 different subjects to choose from, so discuss subjects with your child and choose the subjects that will help nurture your child’s natural talents. Since curriculum can get pricey, create a budget for curriculum, resources and supplies. Consider how many children you will be teaching, what grade levels, subjects and how many children the curriculum will teach. There are many subjects that can be taught for free with online resources. You can save on curriculum expenses by utilizing your local library, shopping at curriculum book fairs and teaching multiple grade levels the same subject. There are free tools and surveys online that can help you pinpoint which style of homeschooling might work for you, as well as the best curriculum to fit that style. You may want to read reviews, get recommendations and ask questions about different curriculum to help in the decision making process. However, don’t jump for the most popular curriculum — your family is unique and the popularity of a specific curriculum does not always mean it’s best for your family.